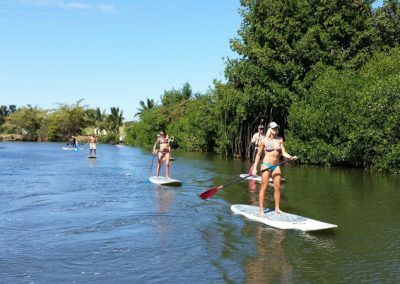 Learn how to master the stand up paddle board in ideal conditions—where the waves are warm and inviting and there’s never a crowd! Lessons are held at the beautiful Pokai Bay, a 25–35 minute drive west from KoOlina resorts. With breakwater offshore that blocks high surf, this is the most protected beach on the west coast of Oahu. Calm conditions are great for the family members of all ages! – Participants must be 11 years or older AND weight over 90 lbs. – All kids ages 3–11 surfing with Surf HNL must be booked under a private lesson. – Lessons are smaller and are aimed to those who want a lesson more private than a group lesson. – Lessons are designed to optimize fun while also maintaining safety! 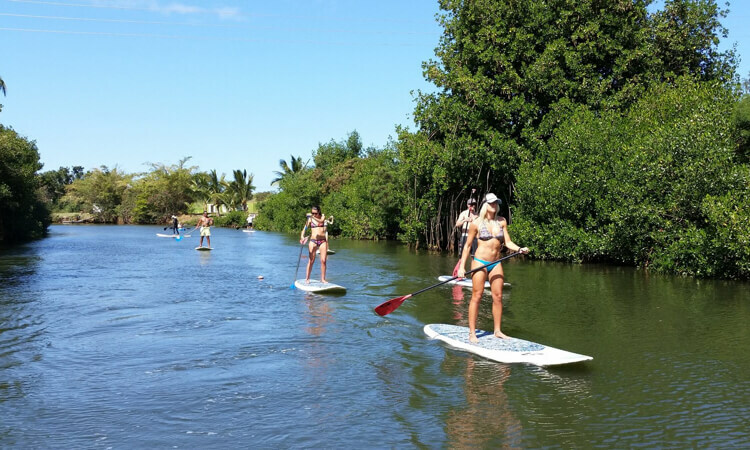 – Perfect for beginner, intermediate, and advanced stand up paddle boarders.